Halloween is often as a ‘trick-or-treat’ episode complete with candies and treats for children or a ‘costume party’ for teenagers and youths. Millions of people worldwide celebrate Halloween without knowing its origins and myths, and these only make the holiday more interesting and fascinating. Today’s history lesson will be on how Halloween came into existence, followed by a list of 15 fun trivia facts of Halloween. Are you ready for the scare of your life? 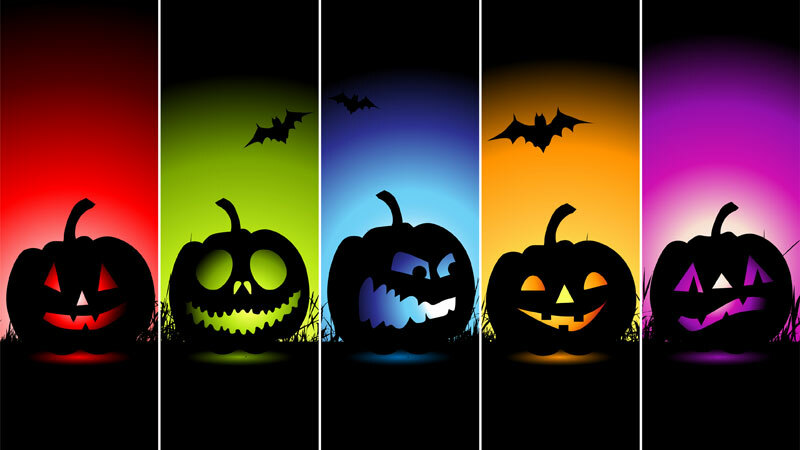 Celebrate Happy Halloween this Friday on October 31, 2014. Photo by Clink Hostels. The word ‘Halloween‘ derived from the old words of ‘All Hallows Eve‘ because it took place on the eve of All Hallows Day which falls on November 1. ‘Hallow‘ is an old word for ‘saint‘ and because November 1 is known as ‘All Saints Day‘, thus Halloween is always celebrated on October 31. It is one of the oldest holidays still celebrated today, and one of the most popular holidays in the world, sccond to Christmas. The Halloween culture can be traced back to the Druids, a Celtic culture in Ireland, Britain, and Northern Europe, over 2,000 years ago. Its roots lay in the annual feast of Samhain on October 31 to honour the dead. The feast signified the ‘end of summer’ or in this case, the starting of the month of November. Samhain was a harvest festival with huge scared bonfires that marked the end of the Celtic year and the start of a new one. The Celts believed the souls of the dead roamed the streets and villages at night. But not all spirits were friendly, so treats were put out to pacify evil and ensure next year’s crops would be plentiful. This custom soon evolved into trick-or-treating that kids enjoy so much today! Different cultures view Halloween differently but traditional practices remain the same. It as a time for fun, costume parties, and trick-or-treating, or as a time of superstition, ghosts, witches, and spirits that should be avoided. Just remember that celebrating Halloween is a preference, not as participating in an evil holiday. However Halloween is celebrated, there is no references tie this holiday to pagan rituals or occults. Colours of Halloween: Orange because it is associated with the Fall harvest, and black because it is associated with darkness and death. Birth of Halloween: Ireland is thought to be the birth place of Halloween over 2,000 years ago. Ye Olde Jack o’ Lantern: The first Jack o’ Lantern originated in Ireland where people placed candles in hollowed-out turnips to keep spirits and ghosts away. Significant Spiders: If you see a spider on Halloween, it could be the spirit of a loved one watching over you. Second Best: Halloween is the second most commercially celebrated and successful holiday after Christmas. Costume Parties: As spirits and ghosts roamed the countryside on Halloween night, people wore masks and costumes to avoid being recognized as humans and possibly brought the idea of dressing up on Halloween. Meow Factor: Black cats were once believed to be witches’ familiars who protected their powers. Feline Frenzy: A superstitious belief of how black cats came to existence when people thought that witches would turn themselves into these black cats to avoid detection. A Scary Affair: The intense and persistent fear of Halloween suffered by an individual is known as ‘Samhainophobia’. Evolution of Trick-or-Treat: This custom evolved from the Celtic practice when treats and food were put out to pacify and placate the evil spirits who roamed the streets of Samhain. Annual Candy Revenue: Candy sales average about 2 billion dollars annually in the United States during the Halloween period. Witch-nessing at Midnight: According to tradition, if a person wears his or her clothes inside out and walks backwards on Halloween, he or she will see a witch at midnight. Asian Halloween Celebrations: Known as the ‘Festival of the Hungry Ghosts’, lanterns are lit to guide spirits back home, and food and gifts are offered to please the spirits. Hocus Pocus: The famous magician Harry Houdini (1874-1926) died on the night of Halloween. Story of Jack: Based on an Irish legend, Jack o’ Lanterns were named after a stingy man called Jack, who played tricks on the Devil several times, and was forbidden entrance into both Heaven and Hell by God and the Devil, respectively. He was condemned to wander the Earth, waving his lantern to lead people away from their paths. So, did you enjoy our little trick-or-treat 15 Fun Trivia Facts of Halloween today?